Jade and Gabe, two cousins from Minnesota, were personally impacted by bullying, and wanted to do something that would help prevent bullying for all students. 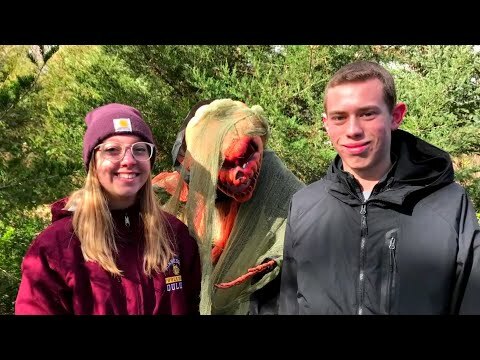 In 2012, with the help from their family and community, they turned their passion into an annual fundraising event called “Spook City in the Woods,” which is designed to show that if you think the trail is scary, think how it feels to be bullied. Watch this episode to learn more about this amazing event, special thanks to Gabe and Jade for the incredible impact they have made! The idea of 100 Women Who Care is simple: 100 women unite and use their combined resources to uplift charities in their community and across the nation. Four times a year, the group meets and members nominate, discuss, and vote on charities to support. 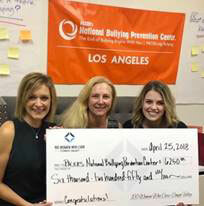 On April 24th, 100 Women Who Care Conejo Valley chose PACER’s National Bullying Prevention Center, Los Angeles, to receive the largest donation they have ever given. Through the gifts of their membership, they gave $6,350 to preserve and strengthen PACER’S bullying prevention efforts in this area northwest of Los Angeles County. On July 25th, a representative from PACER’s NBPC attended their meeting to share with the group how their donation was used. Activities, outreach to local schools, resources, and more are planned in the Conejo Valley region to help create healthier school communities where kindness – not bullying – will flourish. Hi, My name is Joey and I am an eighth grader in Colorado. My story is a sad one but it has a happy ending. When I was in fifth grade I was bullied by a group of boys because I did not fit in. You see I am a theater kid, I love acting and being on stage. These boys were into sports and since I did not like nor participate in sports I became their target. The teachers tried, but the boys were sneaky, and it was a very hard year. The following year I moved schools for a new start. That is exactly what I had, with new friends. Unfortunately I still have the "stereotypes" that make me a target. I am very small, energetic, passionate and unique. One of my new "friends" got a bunch of students together and the spat on me in the cafeteria and walked away. I was emotionally upset. It was a wake up call! Do I want to be another statistic or do I want to help others not feel the pain and loneliness I went through? I made a decision then and there to make a difference for others. With the help of my family, I decided to take my unique style and share it with the world. I have always worn bow ties and now I can customize them for anyone. I have science bowties, sports, music, anything you can think of I have a tie for that. I have created an ETSY sight and $1 of each tie goes to a bullying prevention organization to help all kids rise above and feel special. I want the world to SHOW YOUR BOW and END BULLYING. Come see me on my site: https://www.etsy.com/shop/JoezBowz?ref=search_shop_redirect. Throughout his lifetime, Michael J. Cerroni was an individual that stood up for others. Whether Michael was acting as a friend, a brother, a son, or eventually as a United States Marine, Michael felt a sense of obligation to help defend those being targeted unfairly. Michael’s accomplishments in the military service are well documented, and underneath it all, his drive towards those achievements boiled down to one purpose; ensuring that each and every individual was given a fair chance in life. On June 26th, Michael’s memory will be honored at the 6th Annual Michael J. Cerroni 5K Run/Walk, in Black River, NY. At this event, the team from the MJC5K will help raise awareness and donations for the PACER National Bullying Prevention Center. The team behind the MJC5K believes that Michael would have supported this cause, and we are honored to help bring attention to a problem that has been largely overlooked for far too long. After experiencing bullying first-hand, 14-year-old Kealie McClain is sharing her experience through creativity to benefit PACER’s National Bullying Prevention Center. 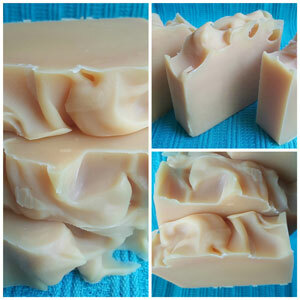 During the month of October, National Bullying Prevention Month, KeKe Soaps will be supporting bullying prevention efforts through the sale of a special handmade orange soap, the official color of bullying prevention, and scented with a fruit loop type fragrance.